Our goal is to connect people with the best local experts. We scored home inspectors on more than 25 variables across five categories, and analysed the results to give you a hand-picked list of the best home inspectors in Long Beach, CA. AAA Property Inspection Service provides home inspections for residential and commercial clients in the Los Angeles and Ventura counties. Owned and operated by Rick Sailors, the firm is a member of the California Real Estate Inspection Association and dedicated to service with integrity. Specializations include insurance inspections, annual maintenance inspections, pre-listing, new-home warranty, and relocation inspections. New clients receive free estimates, and all Veterans obtain a discount on services. Allison Property Inspections offers home and commercial inspections to customers in Upland, Los Angeles, San Diego, and all areas in between. With nearly thirty years of experience, owner/operator Tim Allison has a broad range of industry relationships that point towards the commitment to quality, ethics, and loyalty within Allison Property Inspections. 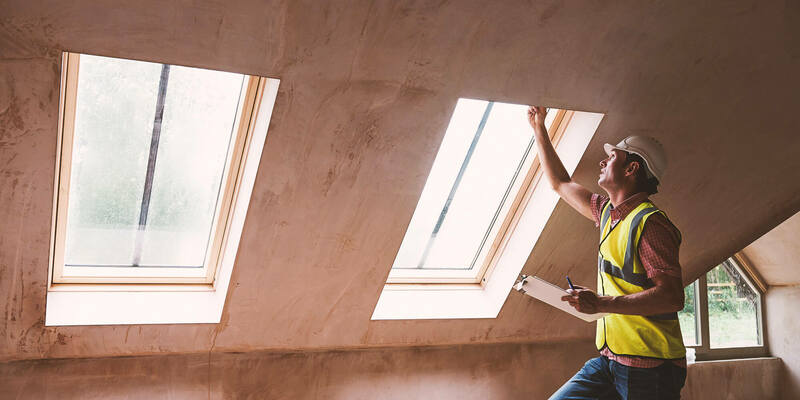 Services include insurance inspections, pre-listing inspections, new construction inspections, home inspections for buyers or sellers, commercial inspections, and roof inspections. Allison Property offers a 100 percent satisfaction guarantee on all work rendered. For over twenty years, owner Frank Beek and Bona Fide Home Inspections has provided customers in Los Angeles County with thorough, professional home inspections. Each examination investigates all systems, structures, and includes a written assessment. Frank Beek is a member of the California Real Estate Inspection Association and updates his education attending industry conferences and training. Appointments are available six days a week. Serving Los Angeles and Orange County, Carroll Property Inspections offers home inspections to residential and commercial clients. Pre-listing, annual maintenance, and new construction evaluations are also available. After each inspection, customers receive a full report detailing the conditions of all internal/external systems of the property via email or CD. All inspectors are certified by the California Real Estate Inspection Association, the American Society of Home Inspectors, and are available seven days a week. For over twenty years, owner/operator Michael Boeger, has offered home inspection services through Equity Building Inspection to clients in the greater Los Angeles area. With over 8,000 homes inspected, Equity Building Inspection has become a leader with residential and commercial customers. Each inspection covers all systems from roof to foundation, includes a detailed report with photo documentation, and free home buyer technical assistance. Weekend and extended hours are available. Michael is a member of the American Society of Home Inspectors, California Real Estate Inspection Association, and a certified mold inspector. Family owned and operated, JLM Environmental Inspection and Consulting offers home inspections to commercial and residential customers in the South Bay and Los Angeles areas. Every customer receives a full written report of the inspection with issues, recommendations, and photo images for reference. JLM technicians are state licensed in lead, mold, radon, and asbestos and utilize thermal technology to capture what the human eye cannot. In addition, JLM is bonded and insured, holds a current contracting license, and has and emergency response team available seven days a week. Owned and operated by Fred Sweezer, Long Beach Home Inspector offers home, commercial, and construction inspections for customers in Long Beach, Los Angeles, San Pedro, Anaheim, Santa Ana, Belmont Shore, and Torrance. With over 25 years of experience, Fred commits to continuous training through the International Association of Home Inspectors, is a certified 203K HUD Consultant, and a certified FHA Compliance Inspector. This firm provides a thorough inspection of each property's systems and structures, a computer generated assessment of findings with photos, and accepts a variety of payments. Call Fred Sweezer directly for price quotes and scheduling. Makai Building Inspection has been providing residents in Los Angeles County with residential and commercial home inspections for nearly eighteen years. Each examination reviews operational systems and structural conditions. A full report with photos is emailed to each client after completion of the assessment. Contact the business directly for pricing and scheduling availability. With over fifteen years of experience, Plar Home Inspection offers quality home inspections to customers in the Los Angeles and Orange Counties. Investigations are top to bottom encompassing the structure and operating systems and include a full assessment with photos. Weekend scheduling is available, and inspection of attics, garages, and crawl spaces are included at no additional cost. Plar Home Inspection is a current member of the American Society of Home Inspectors and IAC 2, mold, and radon certified. Serving the entire greater Los Angeles area, Sherlock Home Inspections has over sixty-five years of combined inspection experience. They offer services to residential and commercial clients and are available seven days a week. Inspectors Delby Melton and Steve Wible are members of the California Real Estate Inspection Association, the American Society of Home Inspectors, and the International Code Council. Based in Long Beach, So Cal Property Inspections is a full service inspection company serving Los Angeles, Riverside, and Orange Counties. Since 2001, the firm has completed over 4,000 inspections targeting electrical, building structures, roofing, plumbing, and foundation aspects for commercial and residential clients. They speak Spanish and offer a twenty dollar discount on home inspections for liking their Facebook page. For nearly twenty years, South Bay Home Inspections has provided home inspections to residents of the South Bay areas of Los Angeles. Every internal and external system is examined and tested. Technicians use the latest technology to provide detailed reports with photos that are emailed the day after the inspection visit. Additional services include pool, spa, and mold inspection. Free estimates are available. The firm has won many awards and is a member of the International Association of Home Inspection. Titus Inspections is a family owned and operated firm offering home inspections to customers in Los Angeles, Orange, and Riverside counties. Owner/Inspector, Dean Nielsen, is committed to protecting the investment of homeowners and targets the various systems of the home including roofing, electrical, plumbing, cooling/heating, building structure, and foundation. The firm is certified by the International Association of Certified Home Inspectors and is available twenty-four hours a day, seven days a week.